Valued for its variety of tone color, the wind quintet is the most common wind chamber ensemble. A standard wind quintet consists of a flute, an oboe, a clarinet, a horn, and a bassoon, while composers often add other instruments to further enrich the effect. 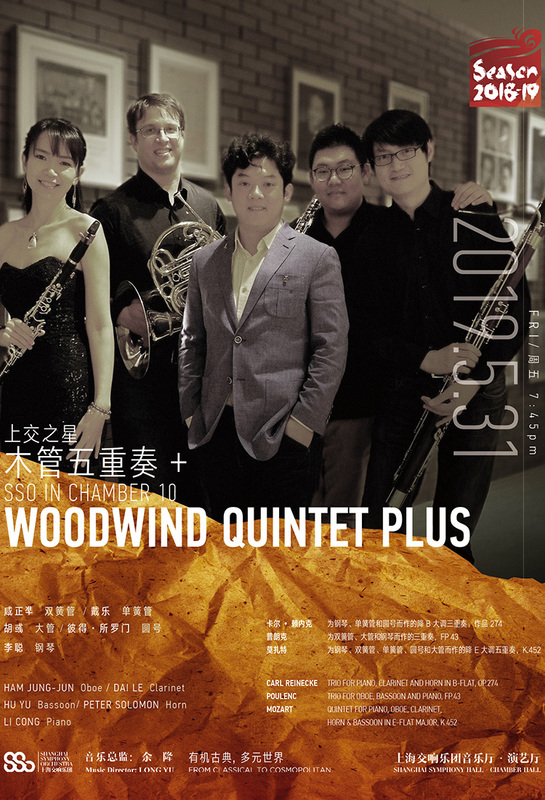 SSO's Qoodwind Quintet will be starting with tuneful and light-hearted early-twentieth century works, ending with Mozart's Quintet for Piano and Winds - which he described as "the best thing I have written in my life."